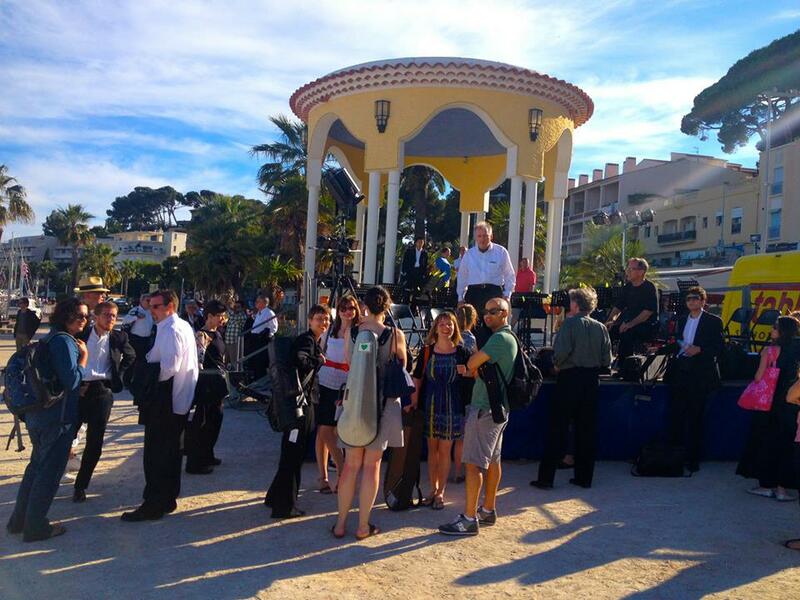 The orchestra by the bandstand about to set up in Bandol, France, June 21. By Aurelien Petillot. 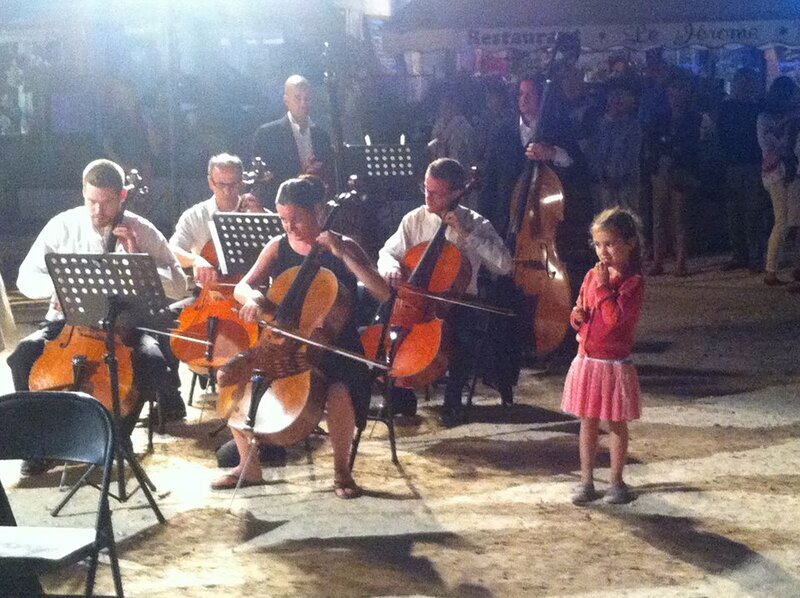 The orchestra playing at Fête de la Musique, Bandol, France. By Laura Smith. 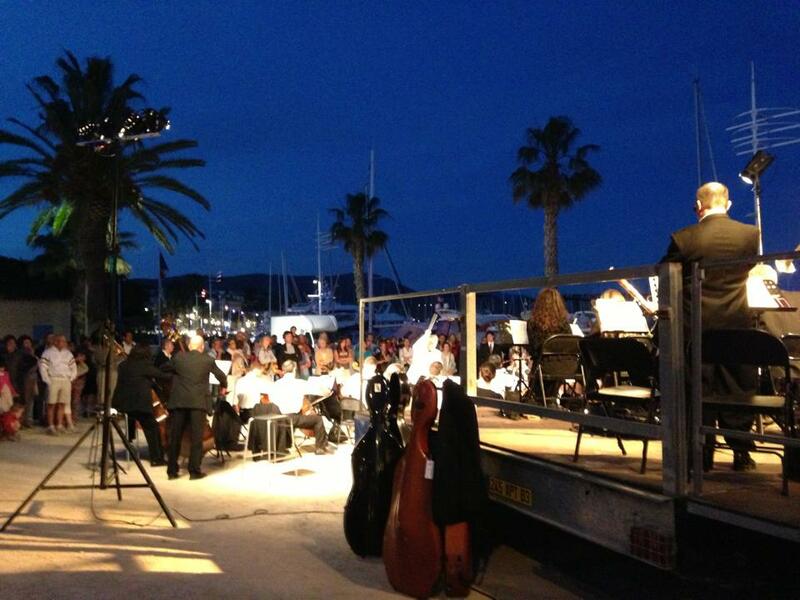 The orchestra playing in the twilight at Fête de la Musique, Bandol, France. By Laura Smith. 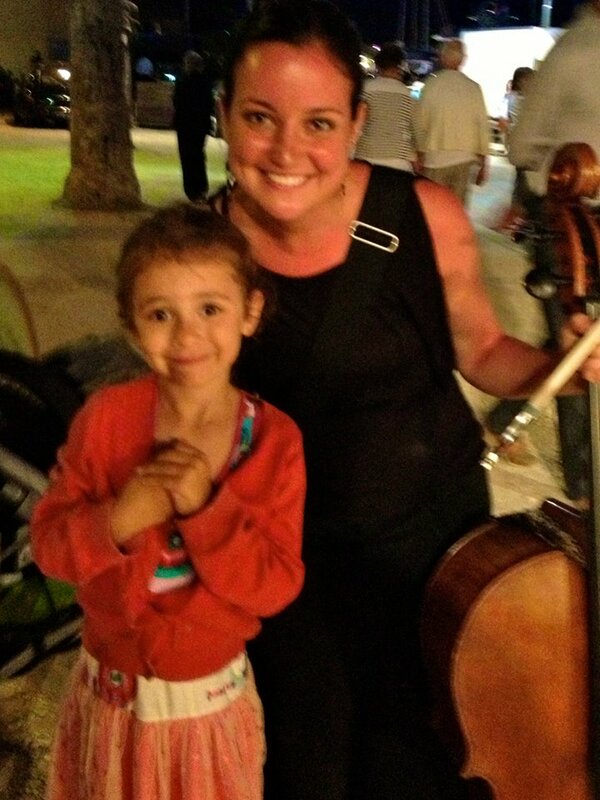 Rebecca Zimmerman was approached by this angelic little girl, Eve, who told her how delighted she was with the concert. She melted everyone’s heart. By Aurelien Petillot. 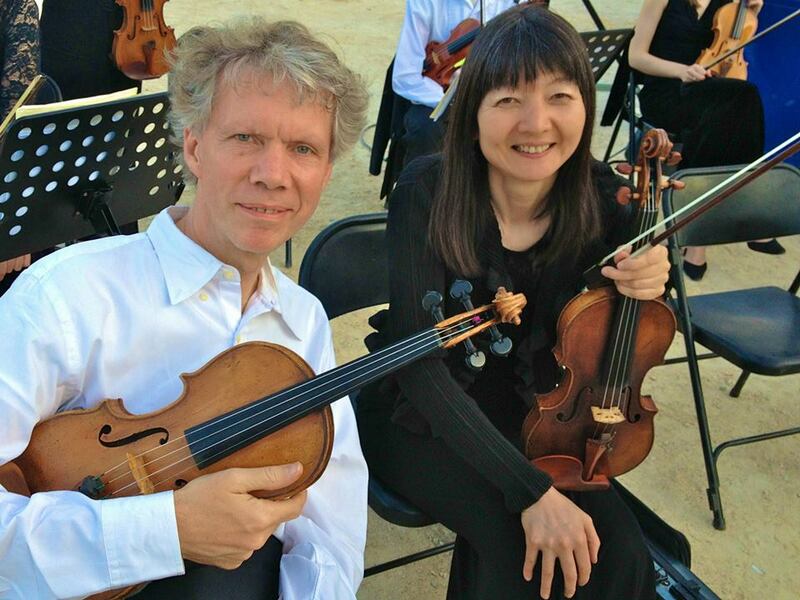 Concert master Mathias Tacke and Rika Seko preparing to play in Bandol, France on June 21. By Aurelien Petillot. 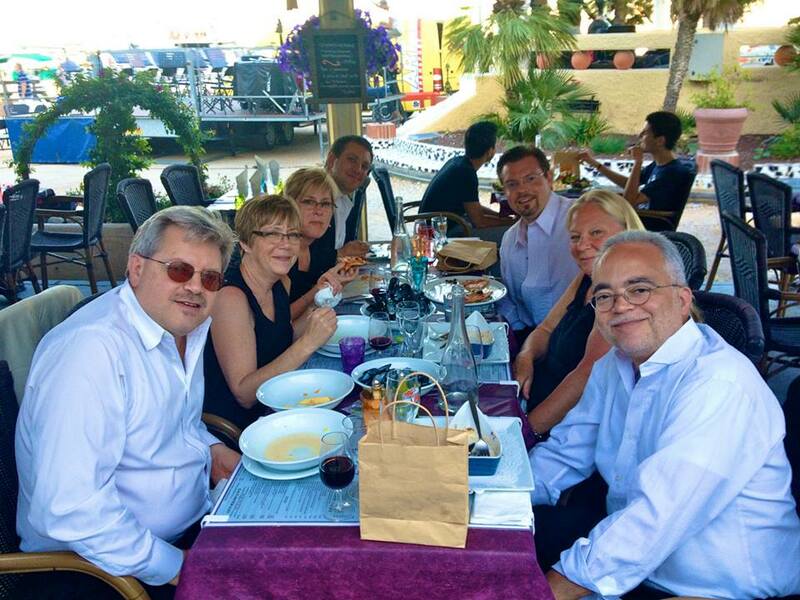 In Bandol, France with Jonathan Saylor, Susan Saylor, Deborah Stevenson, Joel Benway, Travis Heath, Kaethe Durham and George Blanchet. By Aurelien Petillot. 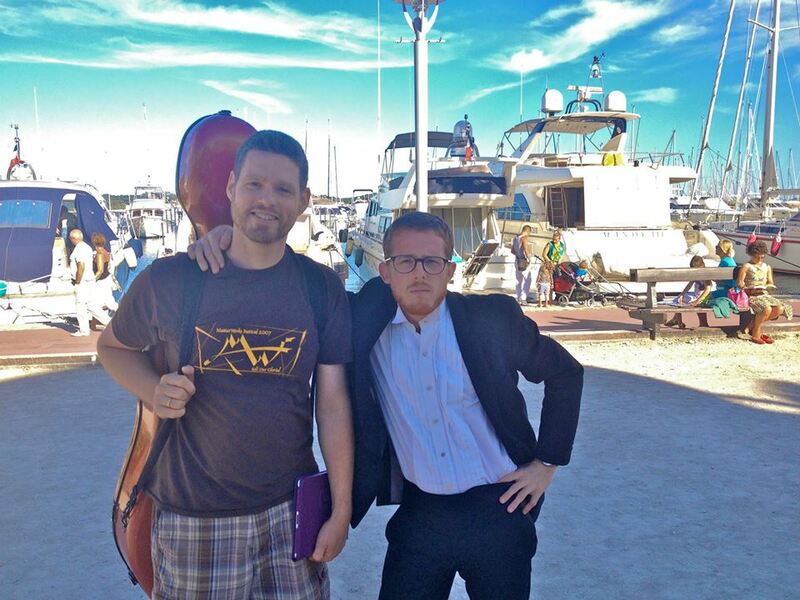 Jake Muzzy and Chris Ferrer by the sea front in Bandol, France. By Aurelien Petillot. 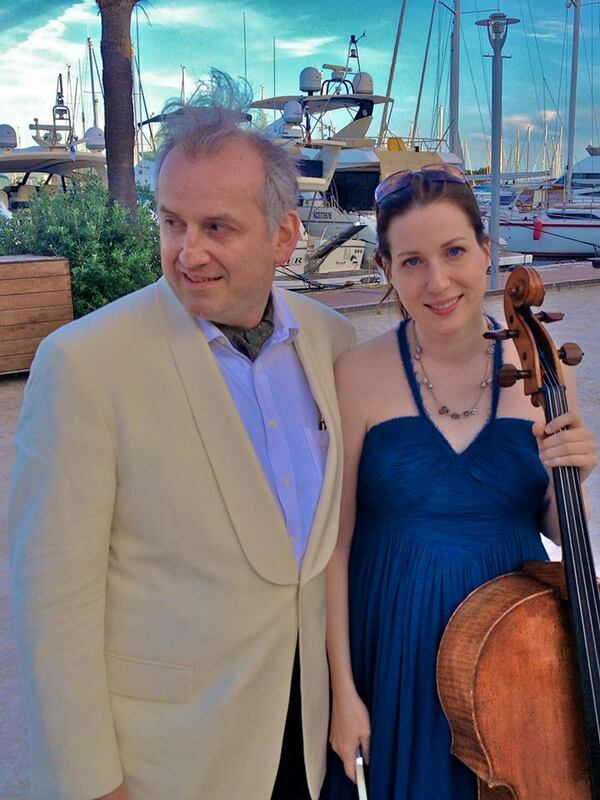 Conductor Drostan Hall with cellist Wendy Warner in Bandol. By Aurelien Petillot. 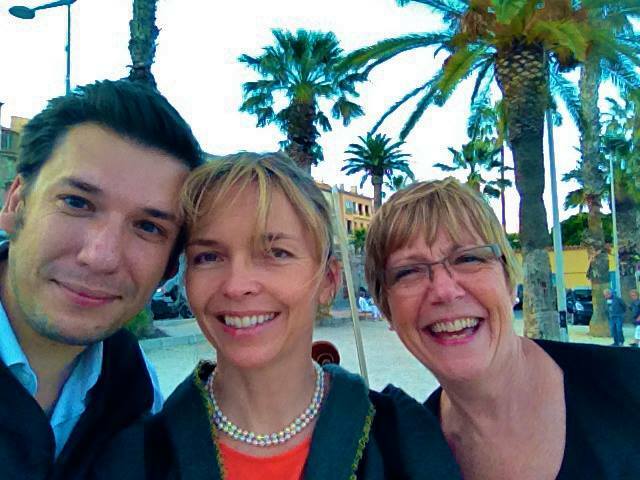 Aurelien Petillot, Ariane Hall and Susan Saylor under the palm trees in Bandol, France. By Aurelien Petillot. 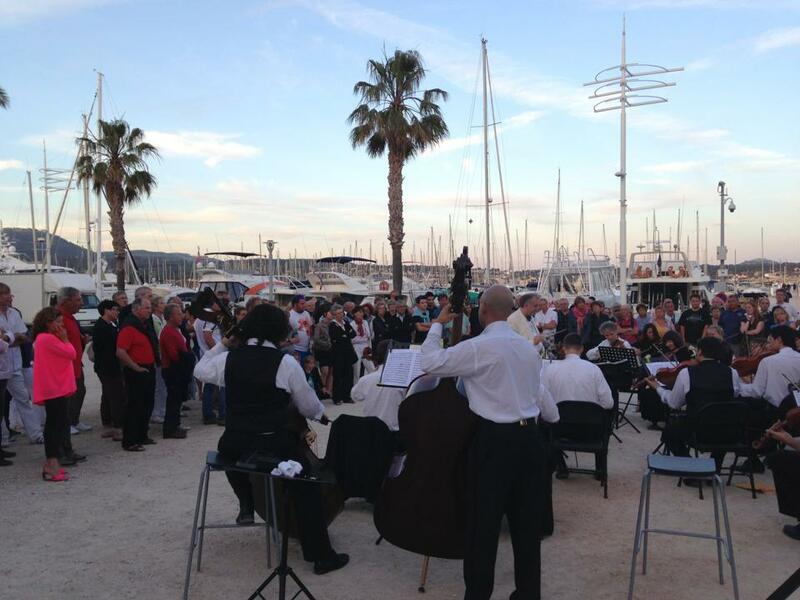 This entry was posted in European Tour Live, June 21 Bandol, Marseille by Camerata Chicago. Bookmark the permalink.